The Boston law firm of Feinberg & Alban, P.C. launches an improved website to make it easier than ever to connect with an experienced injury lawyer or get answers to basic accident questions. 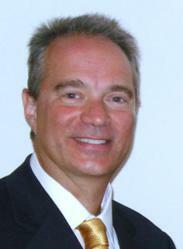 Robert I. Feinberg - Feinberg & Alban, P.C. Our improved site is designed entirely with our clients and potential clients in mind. The Boston, MA law firm of Feinberg & Alban, P.C. announces the launch of an improved website, providing a valuable online legal resource to current and potential clients. The site offers helpful information to remove some of the fear and uncertainty from the legal process, including basic information on accident and injury laws. "Our improved site is designed entirely with our clients and potential clients in mind,” said firm partner, Robert Feinberg. “We hope they will use it as a resource to answer their initial questions, and then let us guide them through the legal process personally." Website visitors learn how the experienced personal injury attorneys at Feinberg & Alban, P.C. can assist them with their legal issue. The firm has developed a reputation for maintaining high ethical standards while aggressively representing clients throughout Massachussetts in accident and injury legal matters. About Feinberg & Alban, P.C. Has one of its partners, Robert Feinberg, selected as Super Lawyer in Personal Injury in all six years that the award has been given, as published in Boston Magazine. Had one of its lawyers obtain one of the largest personal injury awards ($7.7 million) in Massachusetts in 2011. Feinberg & Alban, P.C. pursue your claim aggressively. They are relentless advocates for their clients while maintaining a professional and well-respected demeanor. If you or a loved one has been injured, call them immediately at (617) 232-5950 or visit their website at http://www.feinbergalban.com.